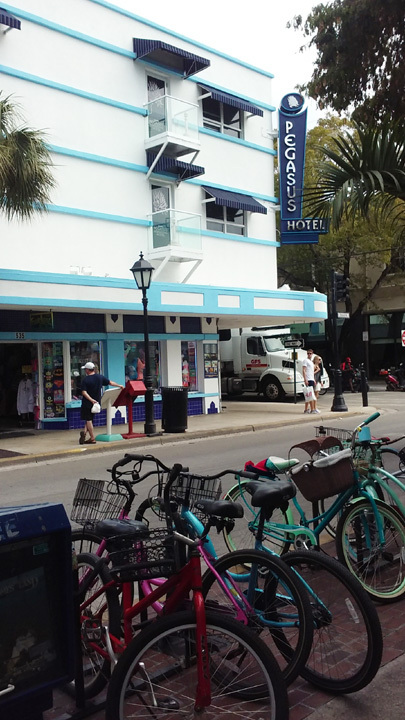 In my last post I mentioned that there are a lot of tourists here in Key West. Since then I learned that approximately 1.3 million people visit each year, according to the Chamber of Commerce. One day I ventured into town on my own. 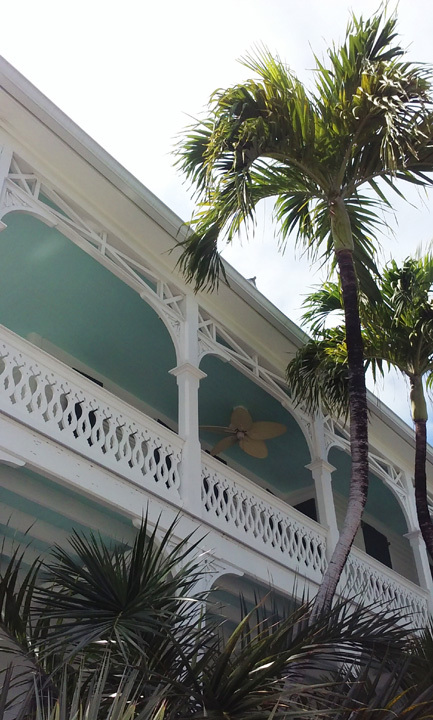 I took the trolley tour to get a good overview of Key West’s Oldtown district. 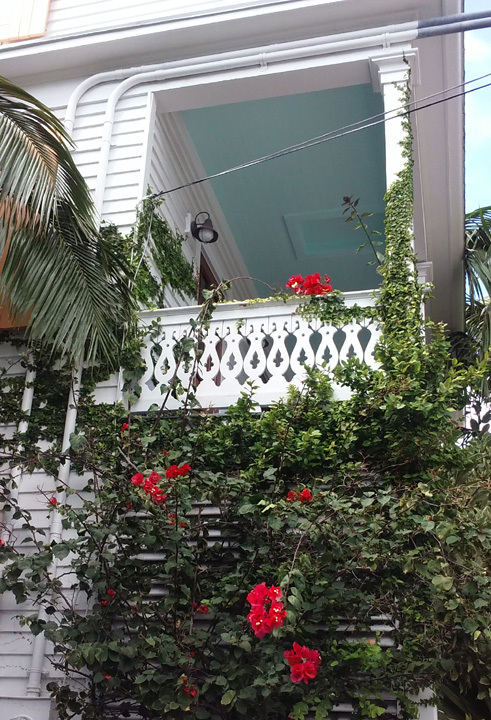 After lunch at Amigo’s Tortilla Bar I walked a few of the backstreets checking out the different styles of Key West Architecture and some beautiful gardens. 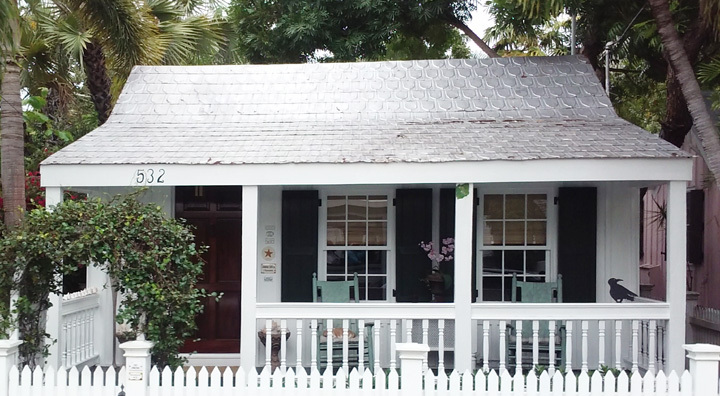 I could be happy living in this one. 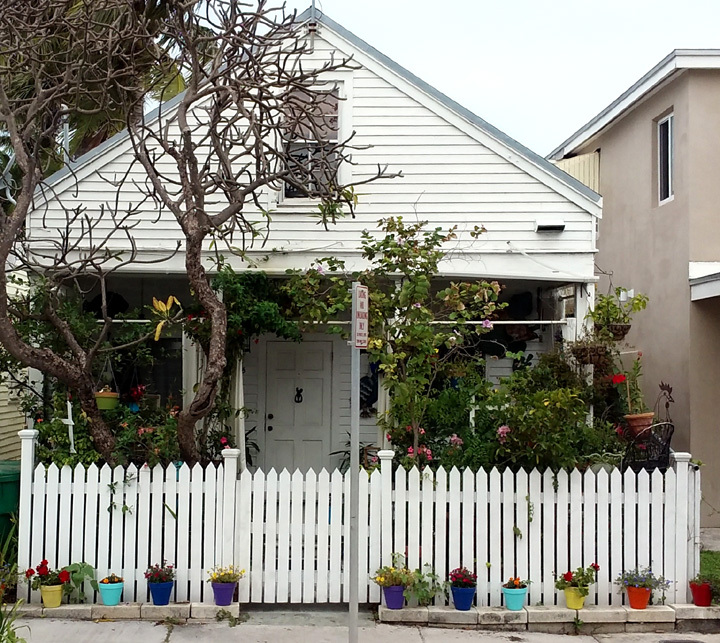 You can barely see the architecture behind the greenery in many areas. 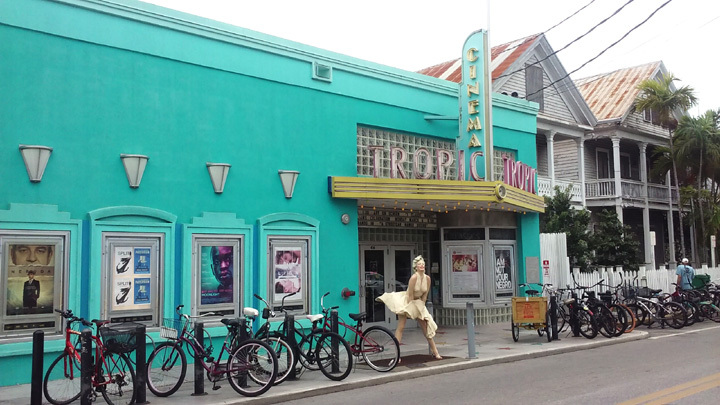 Loved the mid-century modern look of this place. 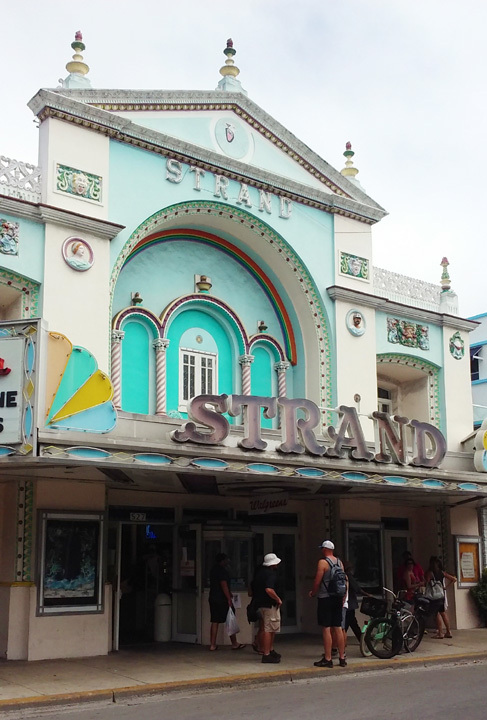 This lovely Art Deco theater is still in business. 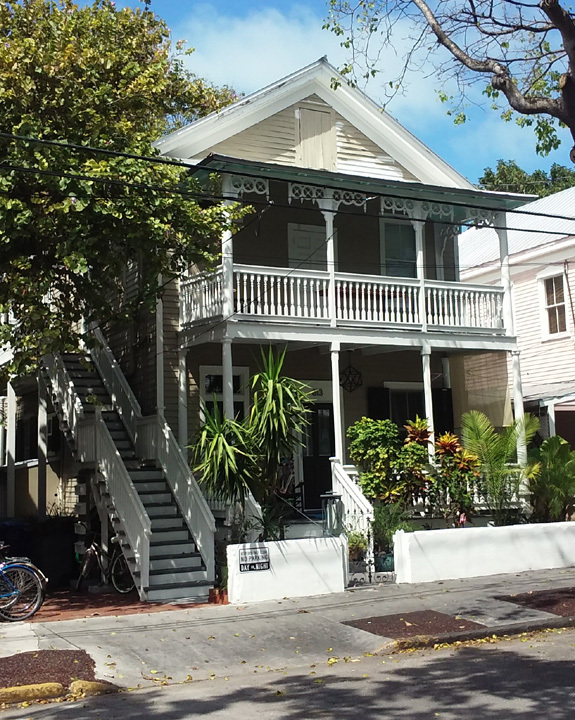 This one serves as a Walgreen’s drug store. 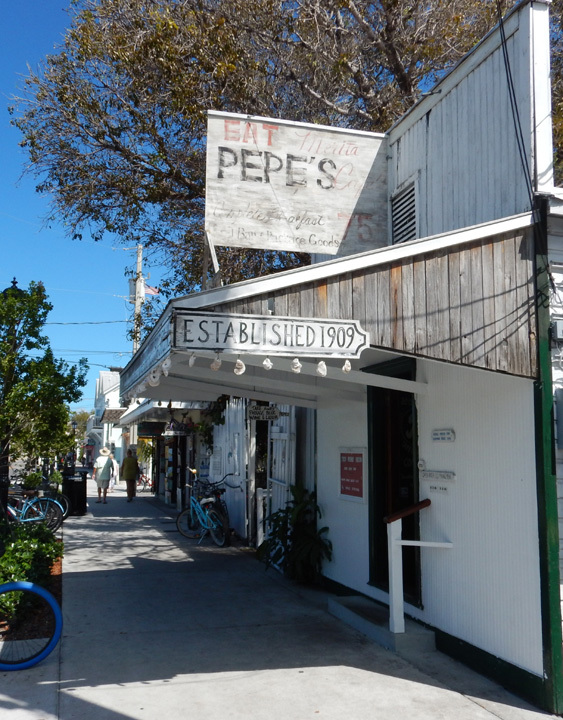 Another day we had lunch at Pepe’s, which is over 100 years old. 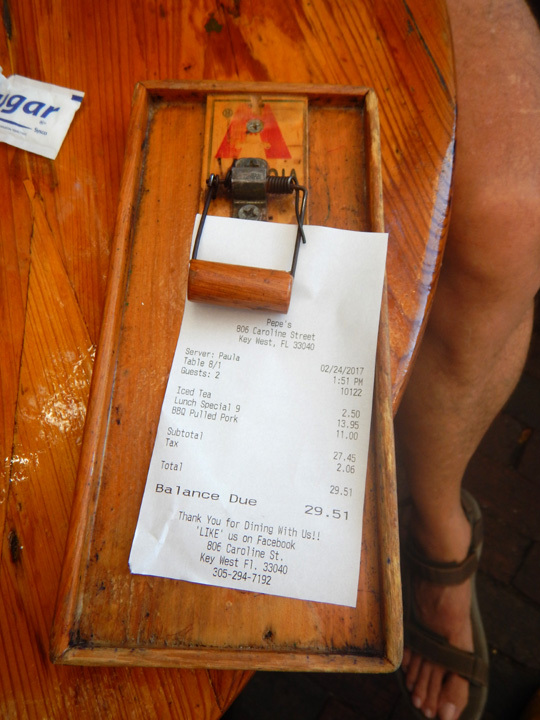 Pepe’s has a rather unusual way of presenting your bill…be careful! 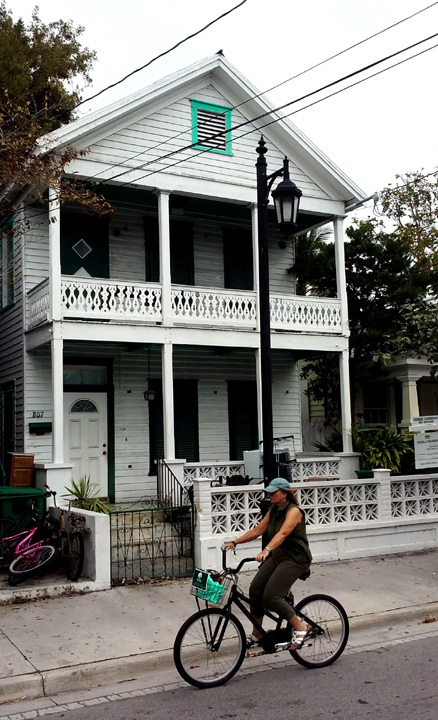 My trolley tour guide said there are 120 bars in town and I wouldn’t doubt it. 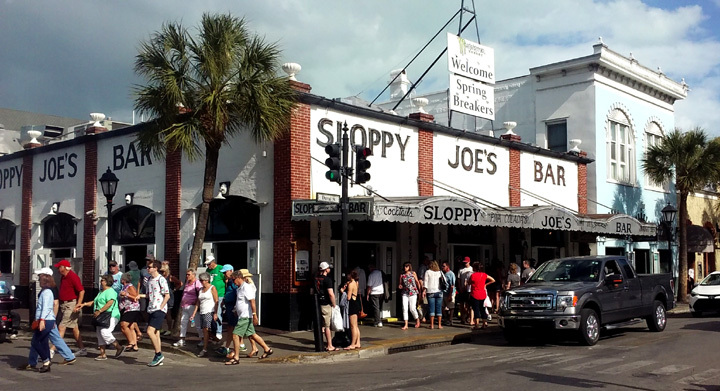 Besides the original Margaritaville, Sloppy Joe’s may be the most famous. 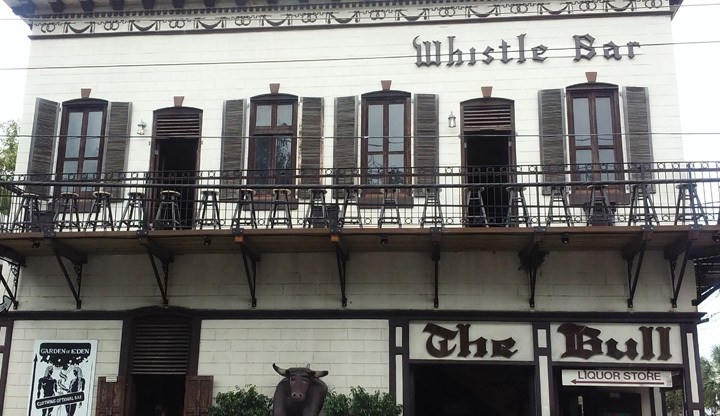 This building contains three bars. 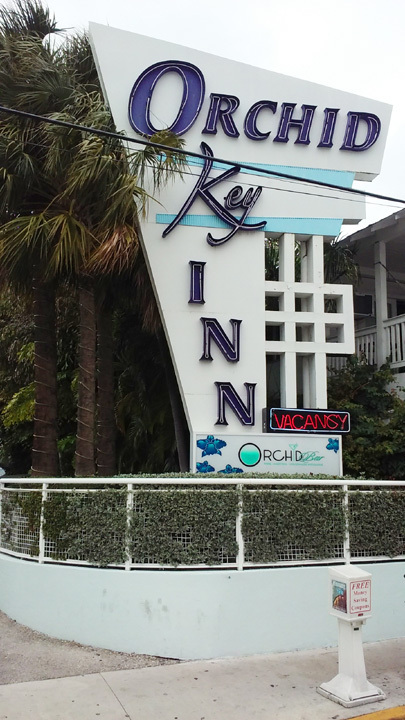 According to the sign at the lower left corner of photo above, the third floor Garden of Eden is clothing optional. We did not check that one out. 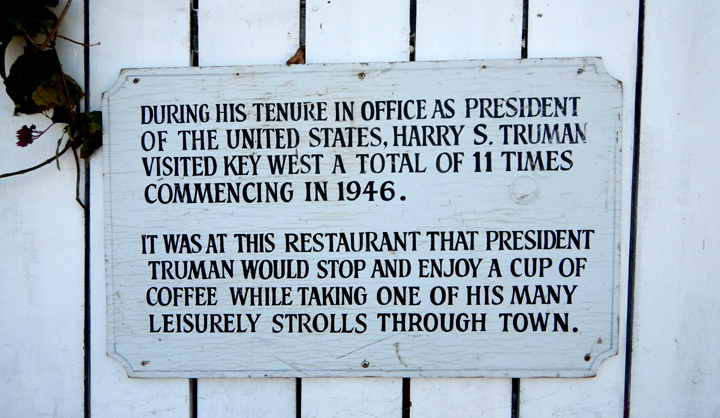 Actually, we didn’t frequent any bars during our visit. Too much noise! 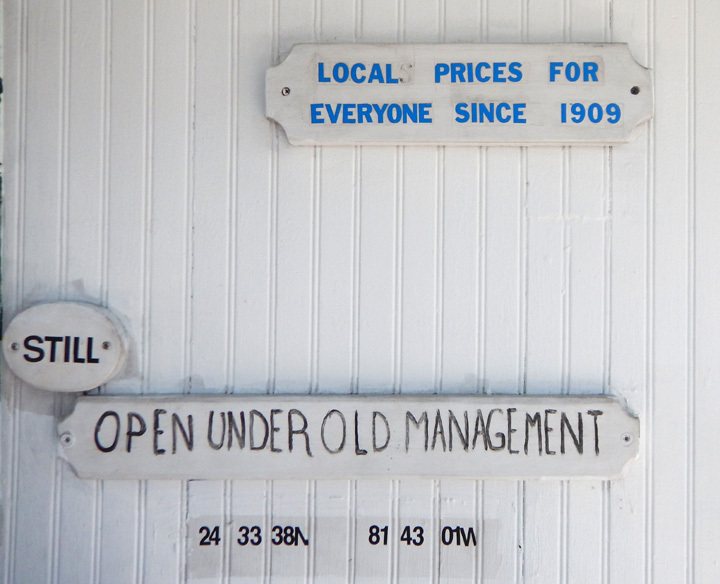 Must be old fogies, eh? 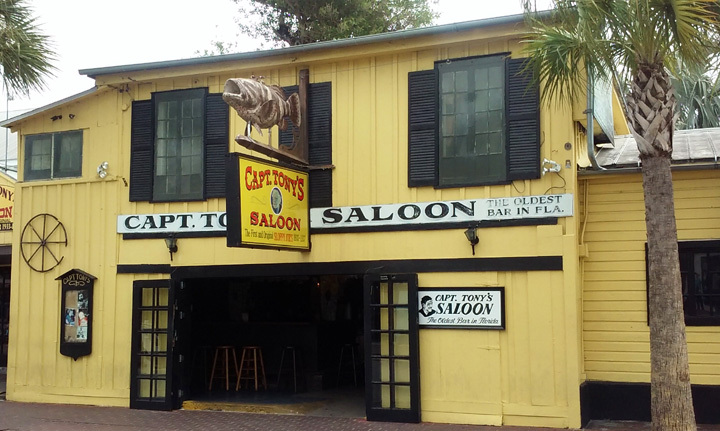 This one claims to be the oldest bar in Florida. 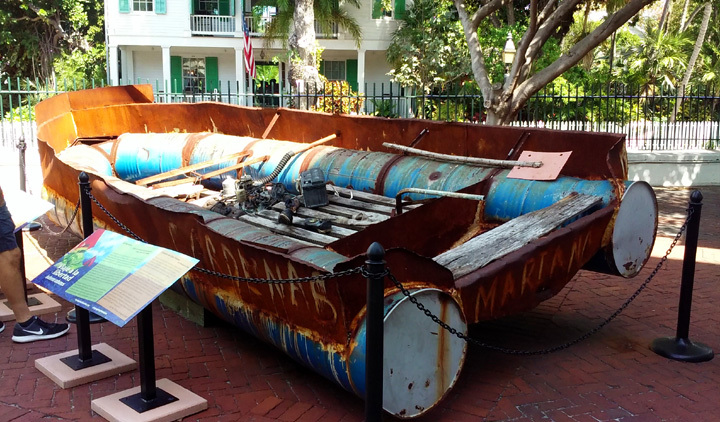 A relatively sturdy homemade boat on which a dozen Cuban refugees successfully made it to American shores. 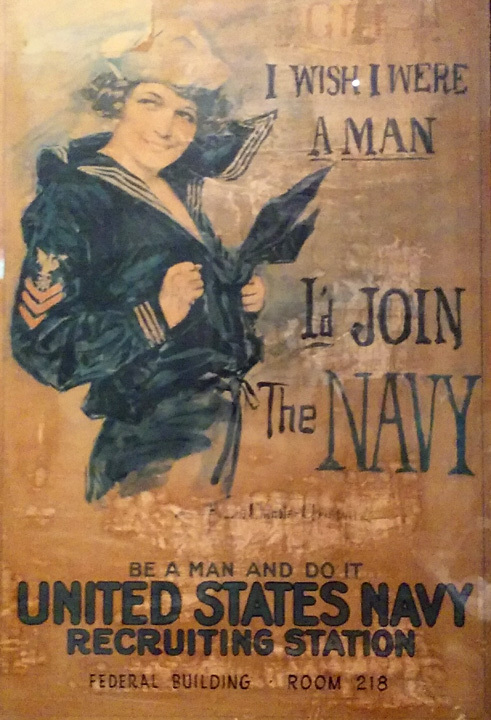 Poster seen inside the Custom House museum as part of the exhibit about the Navy in Key West. 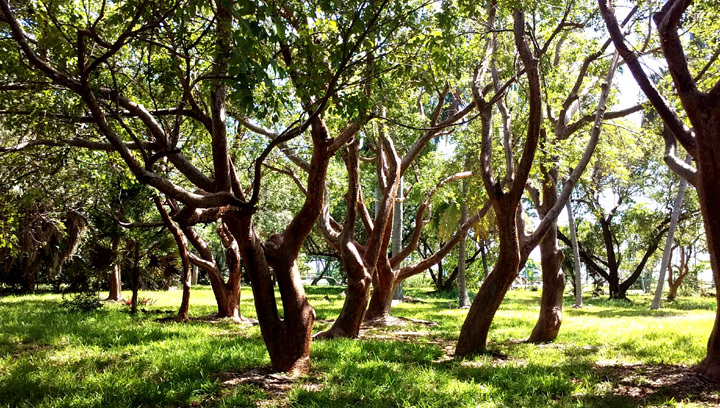 Gumbo Limbo forest at the Key West Wildlife Center. Also called the tourist tree due to it’s peeling red bark. 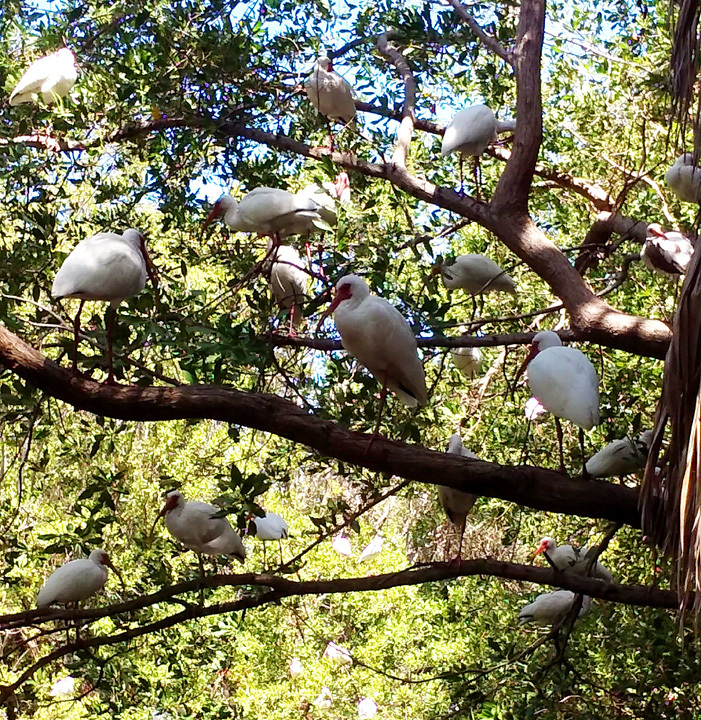 Can you count all the Ibis perched here at the Wildlife Center? 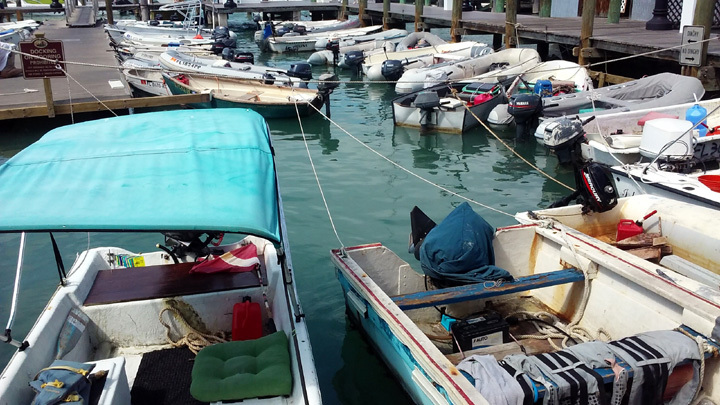 Lots of dinghies at the dock from cruising boats moored offshore. 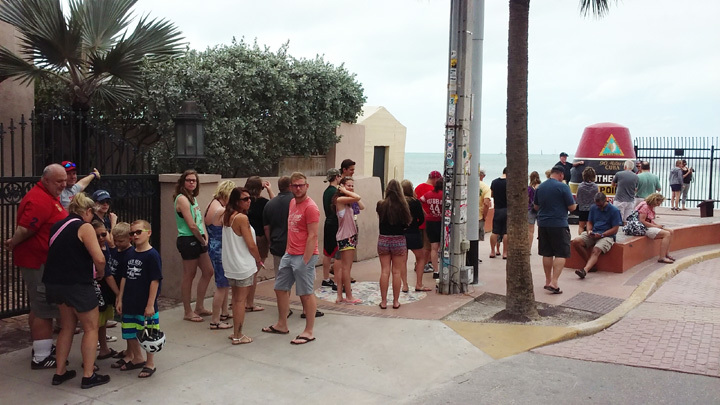 What are these people lining up for? The chance to take this photo. 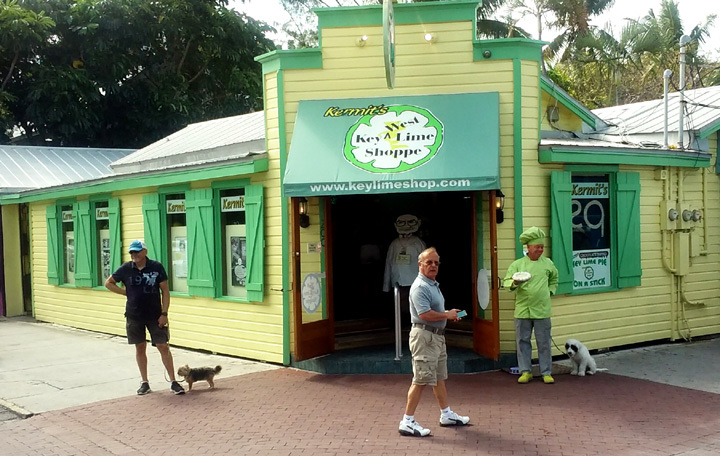 Dark chocolate covered key lime pie on a stick…the best! 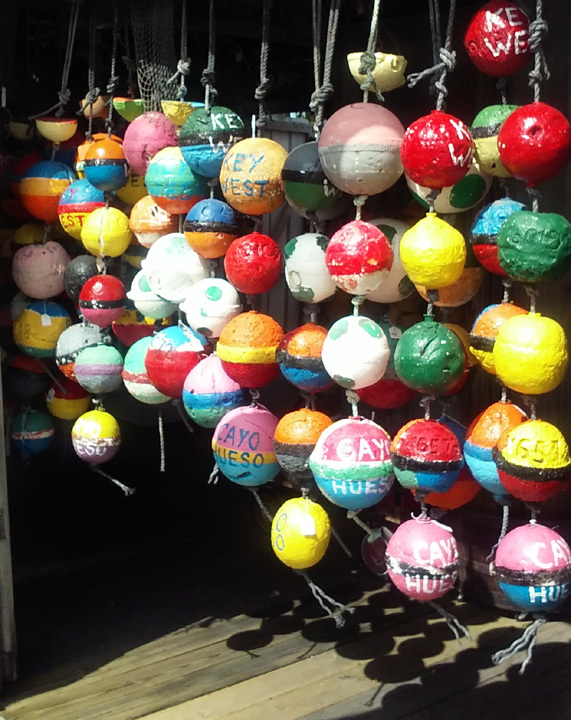 Love these colorful buoys. These were for sale, but I found one that I’m taking home. Will display in my garden alongside a wooden buoy I picked up in Newfoundland. 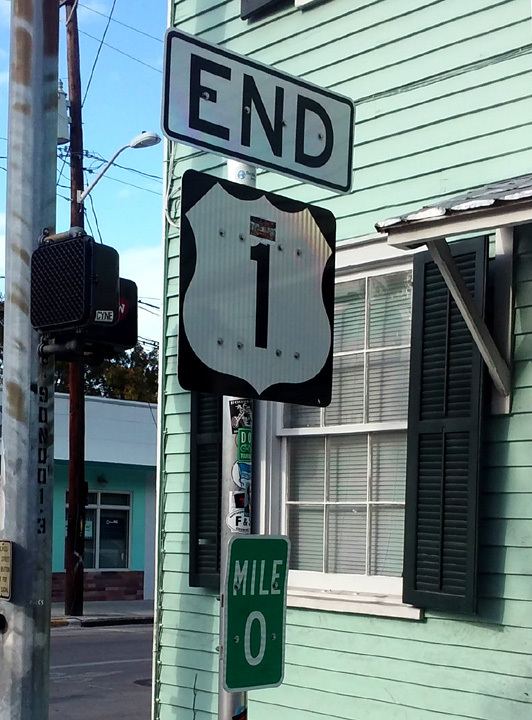 The end of the road that begins in Maine! 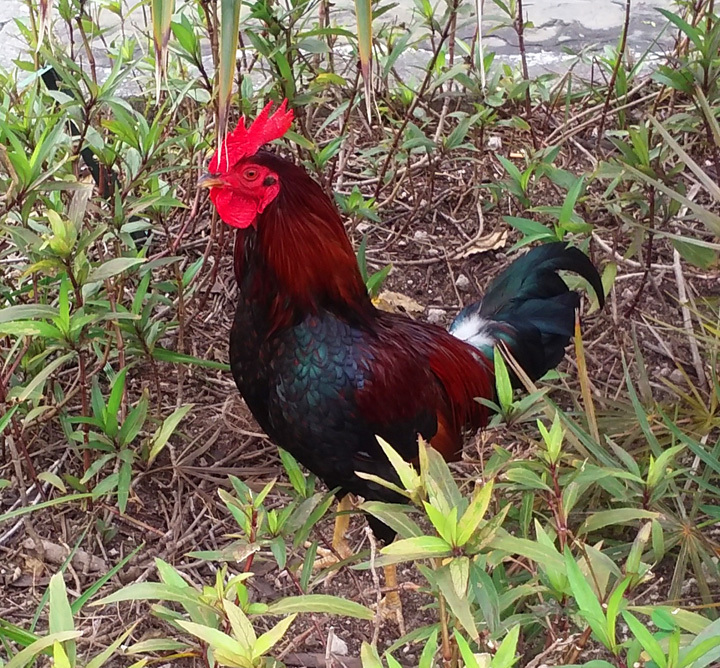 And…just one more gypsy chicken. See next photo. 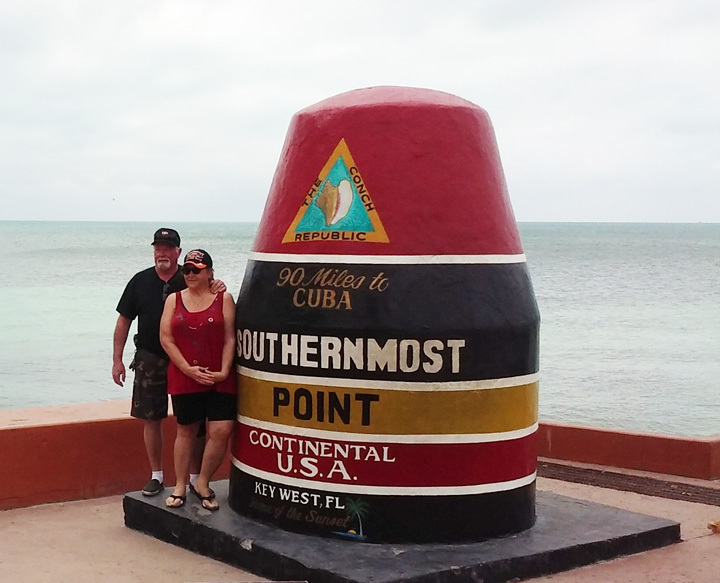 They were waiting to have their picture taken in front of the Southernmost Point in the US.